This item ships free via ground shipping with orders over $75. See details here. 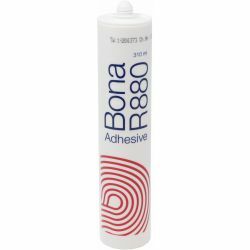 Bona R880 is an elastic silane based construction adhesive. With it extreme high “green” strength and extreme rapid bonding it is special designed for repair work at silane bonded wooden floors or the installation of skirting boards. The bonding process can be accelerated, by spraying little amounts of water on the substrate or spread adhesive. The use of a primer is in general not necessary. • Also great for trim, starter/closeout rows, treads, risers and more! 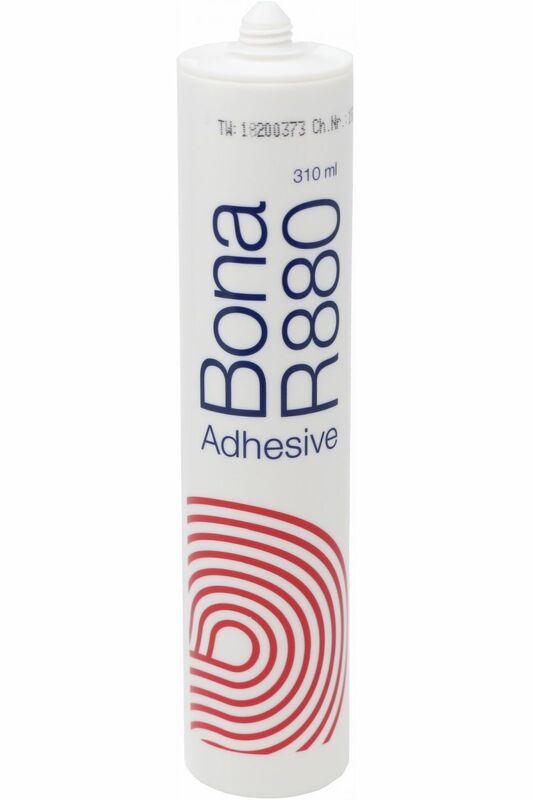 Take your hardwood to the next level with Bona R880! addition of water will decrease the open time to 5 minutes. 5. Position material to substrate as desired. 6. Save any remaining materials by attaching provided cap.